We add you to our VIP list. Then you receive our daily draw betting tips for the period you paid. 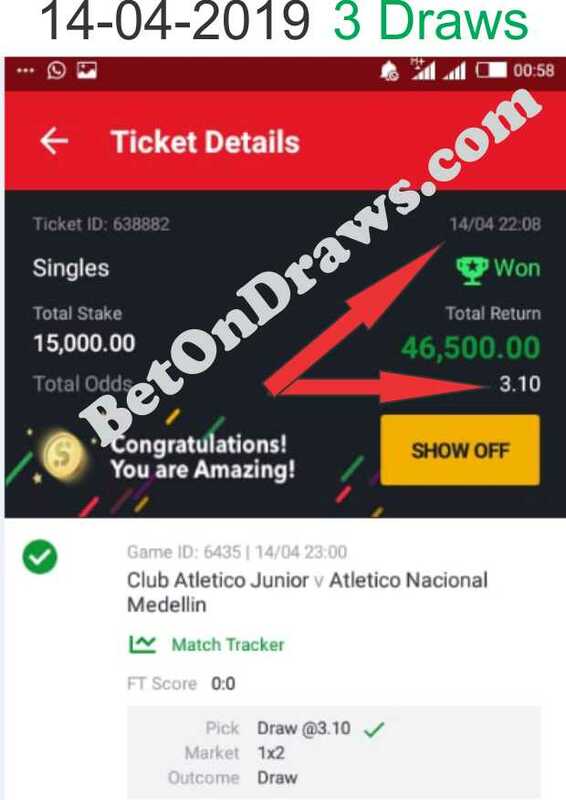 You follow our Tips and place the bets using our betting system; You win and smile to the bank. Over the past 6 months, we have averaged 42 correct draw predictions per month. This translates to over $2,600 (42 draws x 3.12 odds x $20). We are so sure you will profit by betting with our picks and system. If you don't, we guarantee to refund your full subscription, amount, no questions asked, as long as they stick to our betting system. With us, your chances of losing are non-existent. Non of our members has ever lost money, NEVER! With Draws averaging 3.12 odds, you are sure to get another 3+ odds free to build acca of about 10 hot odds.